icount > Blog > Debt Management > What are the pros and cons of an IVA? Simply put, an Individual Voluntary Arrangement, or IVA, is an alternative way for people with debts to clear them at a rate they can afford, as well as being an alternative to bankruptcy. It is a legal agreement between the person in debt and the creditors who allow you to pay an affordable amount over a fixed period of time which is usually between 5 and 6 years. If you keep up with your repayments, then at the end of the IVA any unsecured debts are written off and you’ll end up paying less than you owed. The advantages of entering an IVA can be extremely compelling, especially if you’ve been trying to pay off your debt for a number of years and are still no better off. Here’s a closer look at some of the benefits of an IVA. Affordable payments: All your debt payments are reduced into a single affordable amount which you must pay each month. The amount to be paid is based on your income, while ensuring that after making the payment, you still have enough money to maintain your day to day living expenses. Payments for a fixed period of time: Lasting for a total of 5 or 6 years, depending on your creditor. As long as you keep to the payment terms, after the fixed period of time, you will be free of unsecured debt. If you can afford to pay a lump sum, it is possible to settle an IVA earlier than the fixed period of time, however, it can also be extended if you miss the agreed payment terms. Unsecured debts are written off: After the fixed period of time for IVA payments has ended, any unsecured debts within the agreement and which remain outstanding are written off. The amount written off is not fixed and depends on how much you can afford to pay into the agreement. Your home is secured: Entering into an IVA protects your home from the creditors, as they are legally prevented from taking further action against it. You will, however, need to keep up with mortgage payments during the IVA, and it’s not uncommon for you to be asked to try and release equity. Interest and charges are stopped: Interest and charges are one of the reasons why paying off your debts are so difficult. When you enter an IVA, creditors are by law no longer able to add further interest or charges. Protection from creditors: As soon as the IVA is in place, creditors are no longer able to take any legal action against you. You are protected from creditors by the County Court Judgements (CCJs) and Attachments of Earnings, meaning that if any legal action by creditors is taken against you, it is immediately overturned. Just as important, if not more so, than the benefits of an IVA are the risks and possible damages an IVA could do to you. 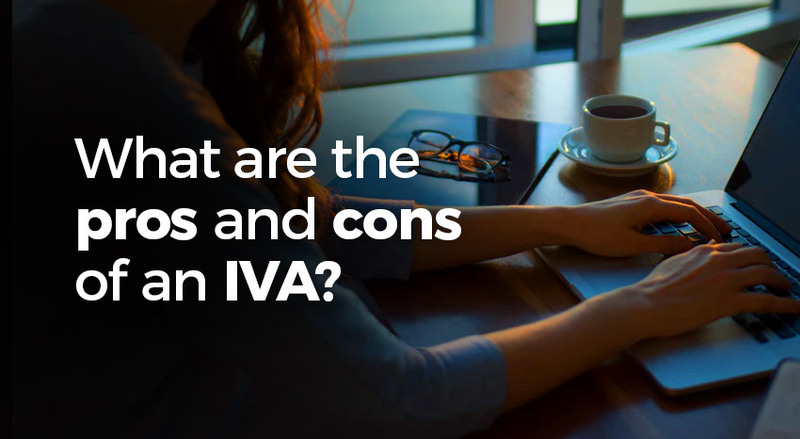 It’s important to consider both sides of the argument, which is why we’ve listed below some of the disadvantages you could encounter after entering an IVA. Poor credit rating: Your credit rating will be seriously damaged if you take out an IVA and it remains on your credit file for 6 years. During these 6 years, you will find it hard to get access to new credit facilities. Living expenses will be restricted: Whilst the IVA provides you with an affordable way to pay off your debts, your living expenses budget will be restricted. 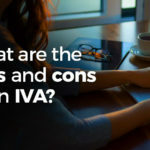 One of the IVA downsides is that although you will have control of your money and bank account, your general allowances will be limited and probably less to what you were used to before. Release home equity: During the fifth year of your IVA, you will have to try and release equity from your property if you are a homeowner. The money is used to increase the amount you need to pay back to the creditors. If you aren’t able to release equity, one of the greatest IVA risks is that your payments will be extended for another 12 months. A form of insolvency: An IVA is a form of insolvency and although it is a private arrangement between you and the creditors, your details will be placed on the insolvency register. This means someone could search for your name within the register and find out about the IVA. Forced into bankruptcy: Should you fail to meet the agreed IVA payments, your arrangement with the creditors could fall through. This would make you liable once again for your debts, and the creditors who couldn’t take legal action against you can now act and force you into bankruptcy. However, this is extremely unusual and generally only happens when a person owes money to HMRC. Opening a bank account for your IVA may be one of the prerequisites to the agreement and it will be where the IVA payments will be taken and where your income will be deposited. The high street bank account options available to you will be limited and, as previously mentioned, an IVA affects your credit rating. With that in mind, the icount IVA current account may be a more suitable choice. 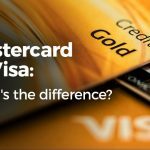 This current account with prepaid card requires no credit checks, and comes with a CreditBuilder facility that can help you to rebuild your credit score whilst making the IVA payments.